community, wherever they may be. straight to your readers' smartphones. Vibe is a digital publishing platform, that makes it easy to create engaging content. 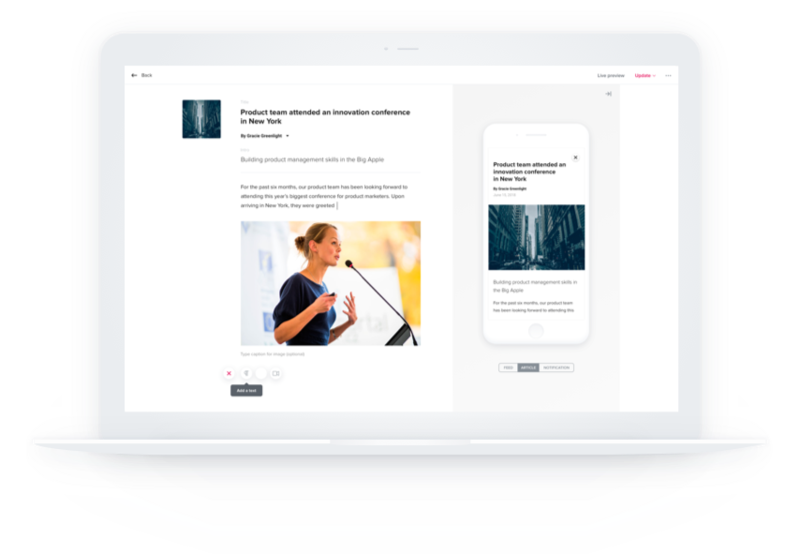 Publish it to your dedicated Vibe mobile feed, and capture the attention of your target audience through push notifications. Vibe is so simple and intuitive that you can start publishing right away without any manual or training. See a live mobile preview of your content as you write it on your desktop, so you'll know exactly how to make your content shine. written, visual and video content quickly in the Vibe CMS. Review your post with Vibe's mobile preview. your dedicated community with customizable push notifications through Vibe's mobile app. your readers through advanced analytics - monitor app usage, notification open rate, article performance, and more. your Vibe channel by adding your logo, article categories, and custom article reactions. for companies and organizations to bring their culture to life and build a stronger sense of shared purpose. 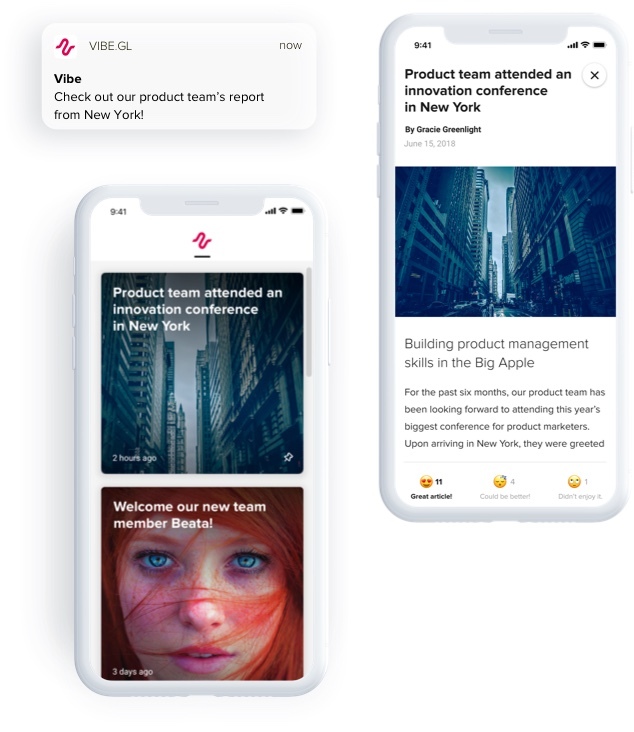 Employees can experience your company’s culture in a distraction-free environment, and be alerted whenever new stories are available through push notifications. going beyond ordinary communication channels like email newsletters or printed advertisements. Run an in-app branded feed dedicated to your content. With Vibe, you can send your readers a push notification whenever you have news to share. A community management solution for public services. Vibe can strengthen relationships with your guests and members by providing an exclusive, invite-only private channel for you to share your events, news and limited time offers in a space focused solely on you and your brand.